What is the Teradata Database? 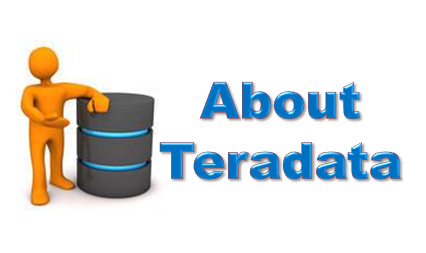 • Teradata is an open system, running on a UNIX MP-RAS or Windows server platform. • Teradata is capable of supporting many concurrent users from various client platforms. • Teradata is compatible with industry standards (ANSI compliant). • Teradata is completely built on a parallel architecture. There have plenty of reasons why customers like to choose Teradata . Teradata supports more larger warehouse data than all competitors combined. Teradata Database can scale from 100 gigabytes to over 100+ petabytes of data on a single system without losing any performance .This is called Scalability. Provides a parallel-aware Optimizer that makes query tuning unnecessary to get a query to run. Automatic and even data distribution eliminates complex indexing schemes or time-consuming reorganizations . Teradata Database can handle the most concurrent users, who are often running multiple, complex queries. Designed and built with parallelism. Single point of control for the DBA (Teradata Manager). High availability of data because there is no single point of failure - fault tolerance is built-in to the system.